Take to the trees on an aerial ropes course or race down a hillside on an all-season tubing adventure! From towering zip lines to bungee trampolines, there’s an attraction for every adventurer in the Pocono Mountains. 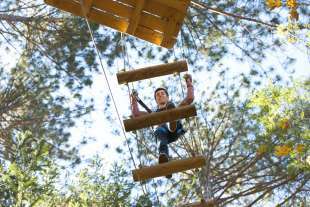 Enjoy these videos and see what fun awaits you at a Pocono Mountains Adventure Park!